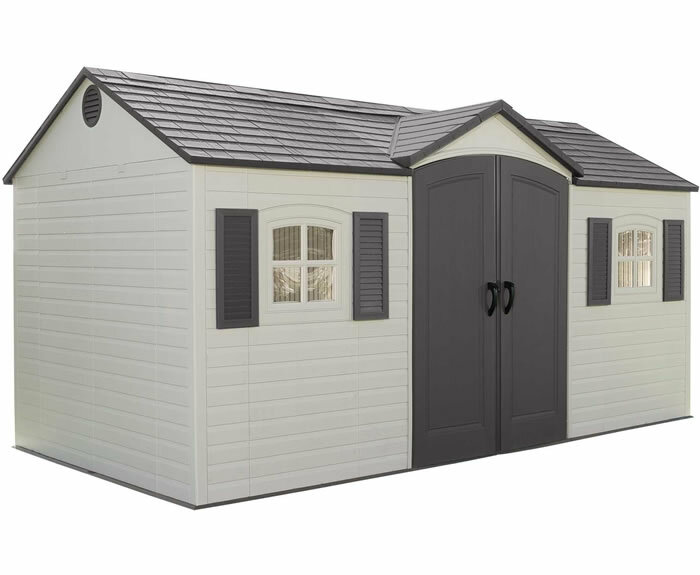 New to our Lifetime sheds line! 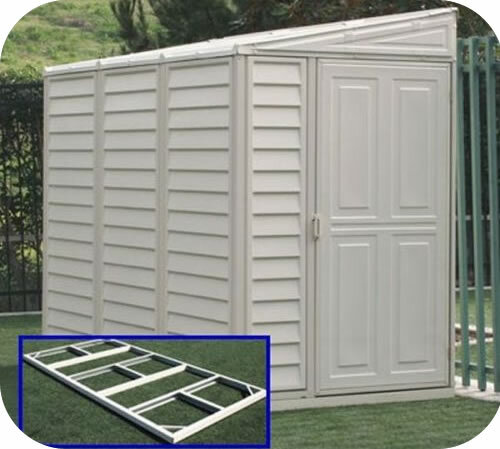 View our 15x8 Dual entry plastic storage shed! 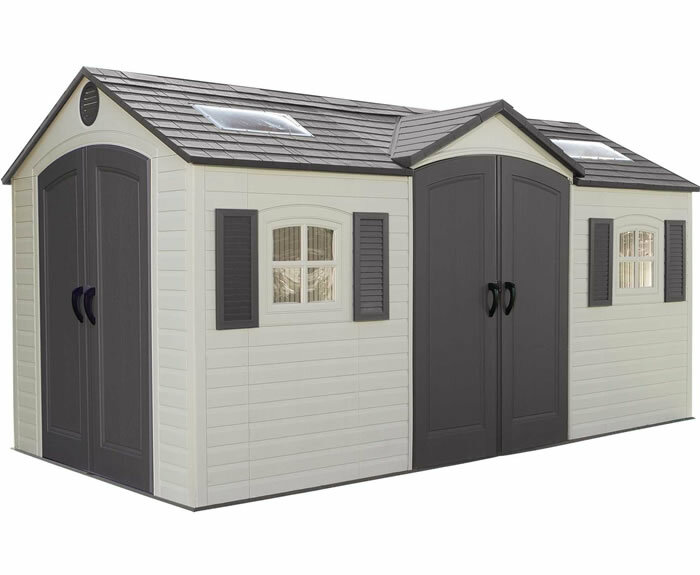 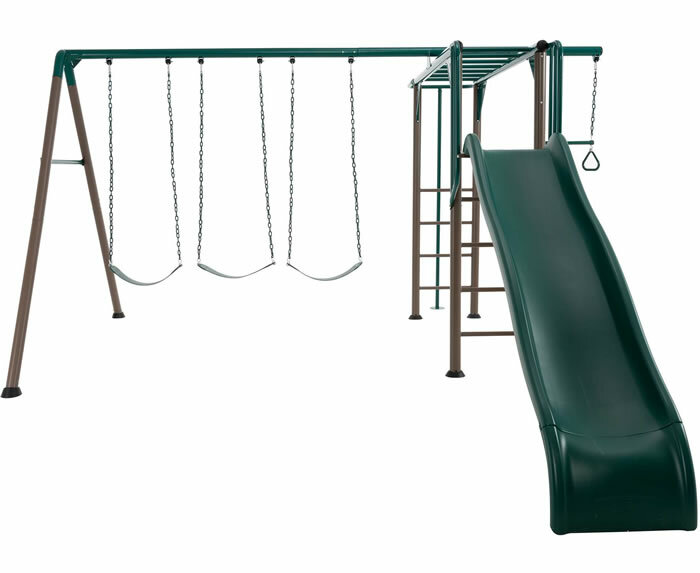 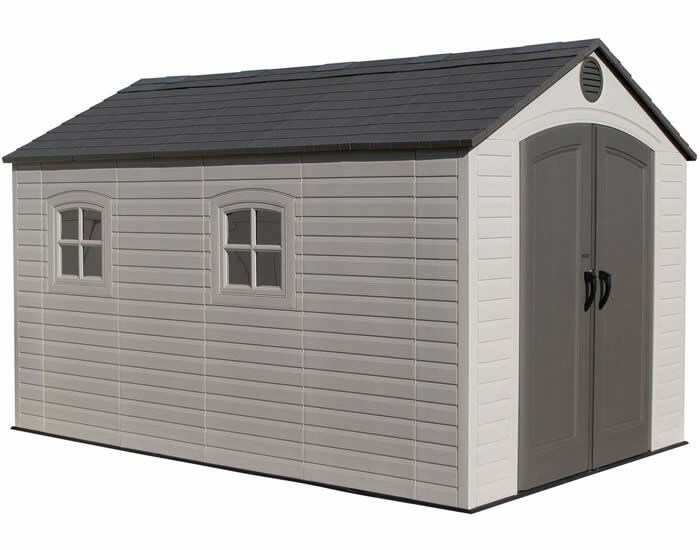 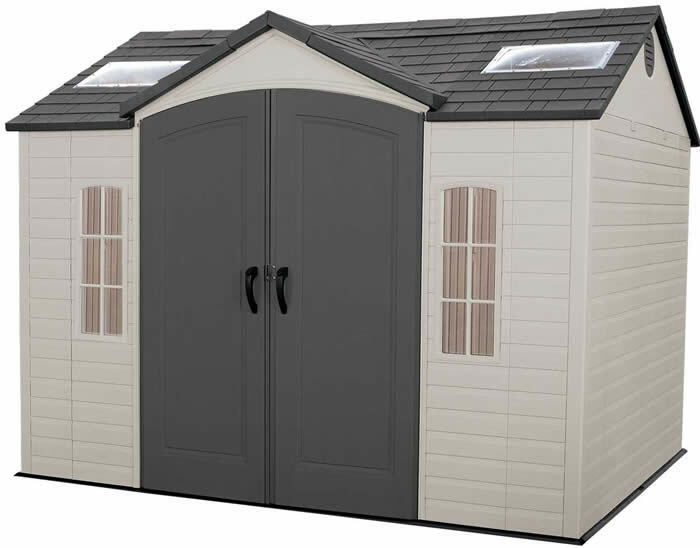 The same 15x8 features with 2 double doors and 2 large skylights.